On Friday in a Federal courthouse, UFC middleweight Chael Sonnen was sentenced to two years probation, issued a $10,000 fine and had his Realtor’s license revoked after pleading guilty to money laundering on January 3rd. U.S. attorney’s office spokesperson Gerri Badden confirmed Sonnen’s punishment with MMAFighting, however would not divulge the specifics behind the wrestler’s probation. Sonnen was facing 20 years behind bars and a $500,000 fine for his involvement in a money laundering scam. Hopefully for the 34-year-old, his troubles outside of the Octagon are behind him. 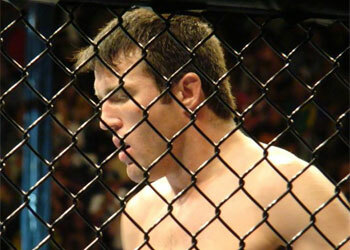 Shortly after his impressive showing in a submission loss to middleweight champion Anderson Silva at UFC 117, Sonnen produced high testosterone levels in his drug test. That suspension has since been served, courtesy of his semi-successful appeal to the California State Athletic Commission late last year. He’s currently on “temporary suspension” from the UFC for his extracurricular activities. However, company president Dana White can lift that ban at any time.